Traveling is not for the frail hearted. If you are too much in love with creature comforts then this destination is probably not meant for you. 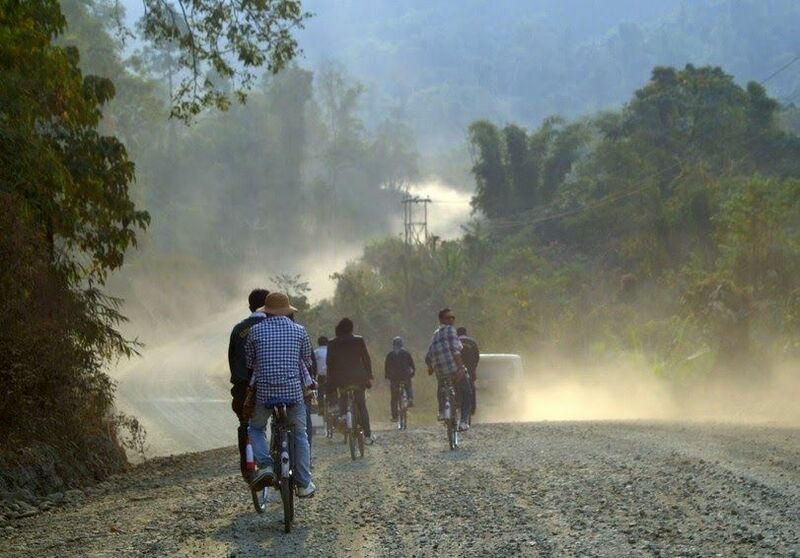 Weaving through the Patkai Hill, this 1136 meters high mountain pass connects the Assam plains to Burma. While the highway up to Assam border is fairly good, the road beyond is little more than a dirt path. And if you happen to travel on a Sunday during the famous Pangsau Pass Winter Festival, then at times it gets so crowded that one might have to crawl through the jam for hours. Despite these seemingly difficult challenges, this journey is totally worth undertaking. Not only is the natural beauty astounding, there is the added charm that this place is steeped in history. According to local legends, this is the path that the Ahom invaders took to reach Assam and colonize it in the 13th century. In the course of the next seven centuries they mingled with the locals so seamlessly that modern day Assam came to be named after them. And indeed, one comes across a kaleidoscope of rich local cultures all the way to Pangsau Pass. 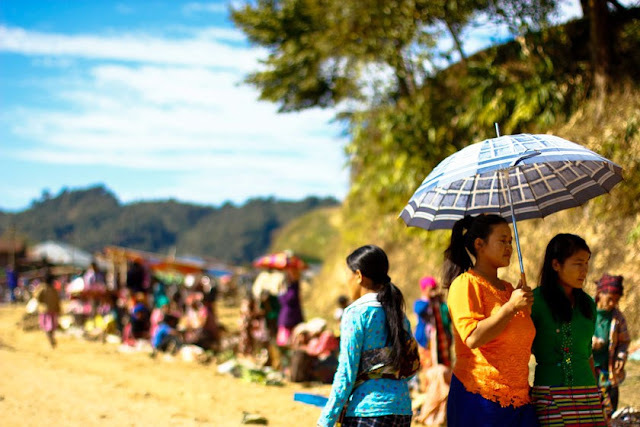 For a small payment, one is allowed to cross over to Burma for a day without a visa or passport. Local shops sell tribal costumes, crafts and weapons. There are numerous restaurants and liquor shops that cater local delicacies. For those who love local cultures, there is the option of being invited in a local home for lunch for a small price. The best time of the year to get a taste of the local culture is the Pangsau Pass winter festival, one of the most popular tribal festivals of the north-east. Originally meant to occur annually, this festival however happens once every five-six years due to funds crunch. For a tourist however who happens to get lucky and participate in it, its rare occurrence becomes an added charm of undertaking this trip. If you love shopping ethnic stuff this festival is worth a visit. A little distance beyond the Burma border is the Lake of No Return. 1.4 km in length and 0.8 km in breadth, nobody knows exactly how it derives its intriguing name. One legend says that it got its name because numerous allied aircraft fighting the Japanese fell into it during the Second World War, whereas according to another story an American soldier deserted the army and escaped into the jungle. He settled at a small village, married a Naga girl, never to return home. Nearby also runs the famed Stilwell Road. Named after an American General who led the allied war in Burma during the Second World War, this road was used by the British and the U.S. to supply the Chinese national resistance against Japanese occupation of their country. Overall this much neglected and little known destination is a must visit for such travelers who feel inclined to take the less trodden paths.